Just this week, scientists from the University of Cambridge, the Wellcome Trust Sanger Institute and the University of Leuven, Belgium, released the stunning results of their research: Babies who are diagnosed with abnormalities in utero or during IVF will often be born healthy and without any abnormalities if they are allowed to live and develop. Professor Magdalena Zernicka-Goetz, the study’s senior author, was inspired to carry out the research following her own experience when pregnant with her second child [her son, Simon]. At the time, a CVS test found that as many as a quarter of the cells in the placenta that joined her and her developing baby were abnormal: could the developing baby also have abnormal cells? When Professor Zernicka-Goetz spoke to geneticists about the potential implications, she found that very little was understood about the fate of embryos containing abnormal cells and about the fate of these abnormal cells within the developing embryos. Although Professor Zernicka-Goetz chose life for Simon – and discovered in the process that he was born perfectly healthy – many parents are pressured to make a different choice. Tragically, many doctors immediately recommend abortion when CVS tests discover abnormalities. Mothers (and fathers) are often pressured to make up their minds in a matter of days with very little information on the realities of their child’s possible condition and with no information whatsoever that the “condition” may actually disappear or be much less serious than currently diagnosed. When possible abnormalities are discovered during IVF, before the embryo is implanted, parents are encouraged to discard the embryos and told they should start over. While this is horrifying on a basic eugenics level – we are discarding children for not being “perfect” or completely healthy – it is also apparently inaccurate. The embryo has an amazing ability to correct itself. We found that even when half of the cells in the early-stage embryo are abnormal, the embryo can fully repair itself. This means that even when early indications suggest a child might have a birth defect because there are some, but importantly not all abnormal cells in its embryonic body, this isn’t necessarily the case. In fact, abnormal cells with numerical and/or structural anomalies of chromosomes have been observed in as many as 80-90 per cent of human early-stage embryos following in vitro fertilization and CSV tests may expose some degree of these abnormalities. And yet, as the scientists’ research demonstrated, many of these abnormalities will correct completely, given time. With abortion in the picture, as well as a demand for a “perfect” baby, these tiny embryos are given no time at all to develop and grow. With time, they could prove that they are just as healthy as the next baby. But with the lack of full facts, many parents are led to believe that abortion will prevent a child from suffering and sickness when it is actually ending the life of their healthy baby. 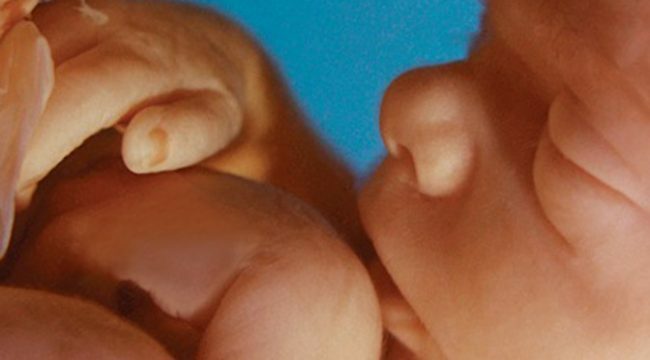 While parents must be told of the dangers of the eugenic mindset that persuades some to abort babies with disabilities, they must also be given the facts of new scientific discoveries that illustrate their “abnormal” baby might be just fine. The scientists plan to further their research, and you can get more details here. The study was published in the journal, Nature Communications, on March 29, 2016.